In Fig.1 - Here you can literally see a visualization of what the yellow type of "Color" (input/output) information. In order to fully understand which type of (internal) Shader data streams Cycles uses I've have analyzed all existing Cycles Nodes, their inputs and outputs and their data-stream types or "Shader sockets". Fig. 2 - Color (yellow) data Input/output streams. Fig. 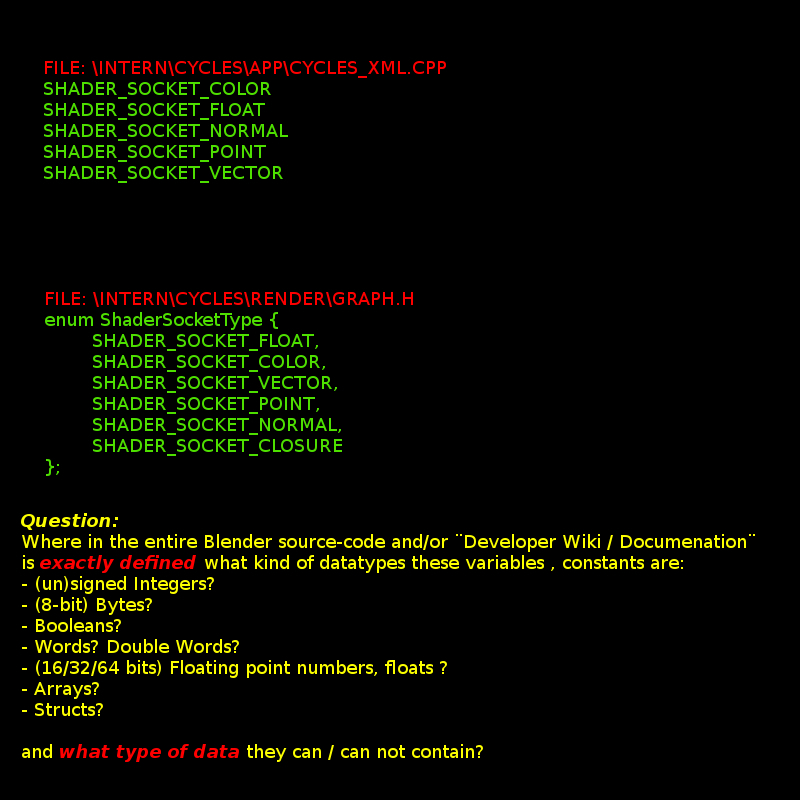 3 - Shader (green) data Input/output streams. Fig. 4 - Vector ?? (purple) data Input/output streams. Fig 5 - ?? (grey ) data Input/output streams. 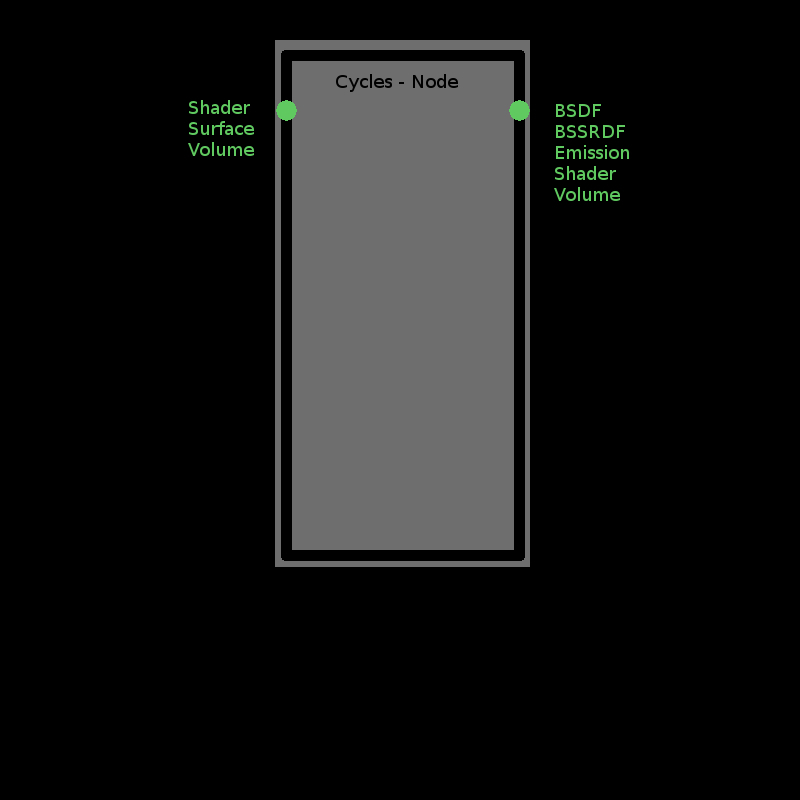 - To understand which type-of-datastream/shader-socket is generated by any Cycles Node output. 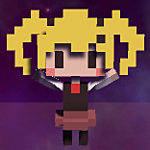 - To understand which type-of-datastream/shader-socket can be accepted by a given Cycles Node input. Where am I getting stuck and why? 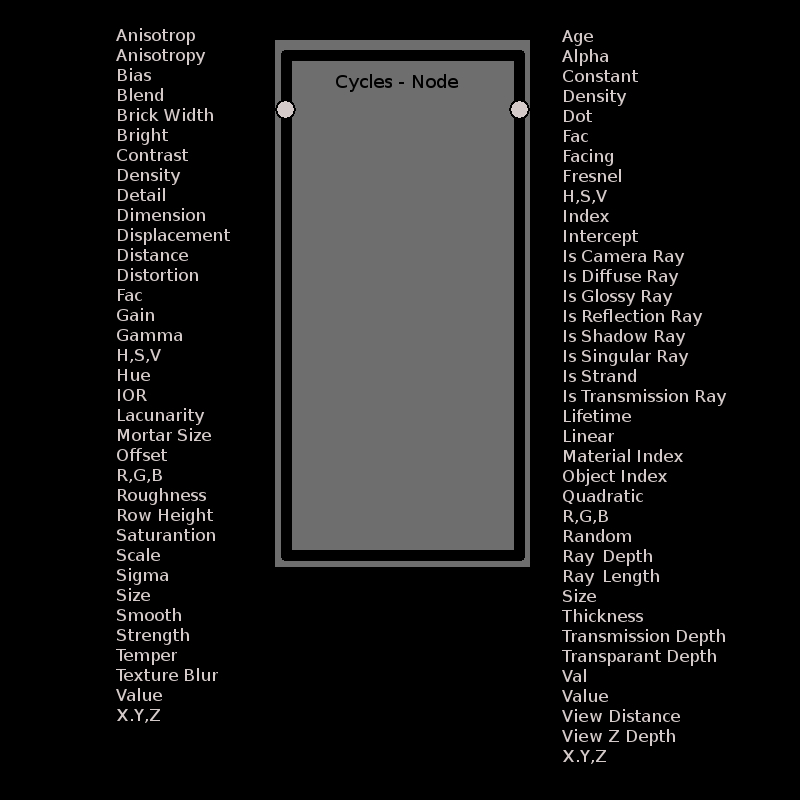 all fail to mention the different type of data which is contained in/ carried the Cycles Shader sockets. Where must I look (further) to find the exact documenation / definitions of the Shader sockets, when it is not documented in any official Blender (developer, manual) source and its own source-code-files? Thanks in advance for your hints, tips, and tricks to get me closer to demistifing the Cycles Sockets data_types. I've never looked at the Blender source code, but I'm a professional C++ developer. I'm not 100% sure that I understand your question though. Are you trying to determine, for example, how a "Size" or "Displacement" is coded from a memory perspective? If so I can take a peek at the source and see if they are defined in some central place that I can point you to. Nice to know that you are already a C++ pro.. I'm currently busy reviving my (25 years ago) old C-skills, in order to start some serious digging and reading into the Blender source-code. - How Cycles works under the hood. 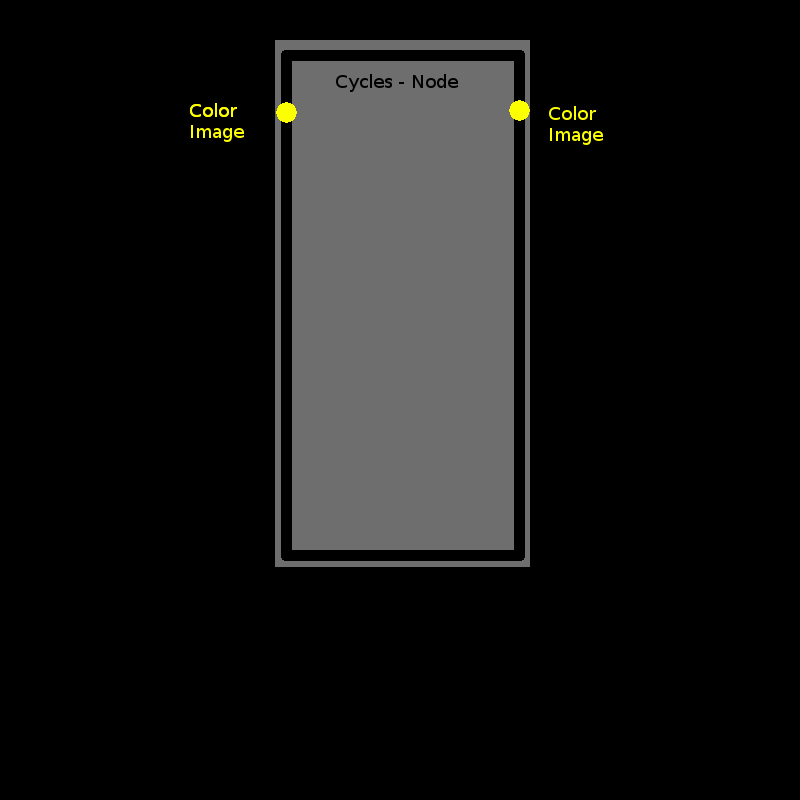 - What type of (image, color, vector) data is being transported between the various nodes. It is a very informative place to learn from. Ah I see! Yeah sorry for the basic info then I was a bit confused by your question. 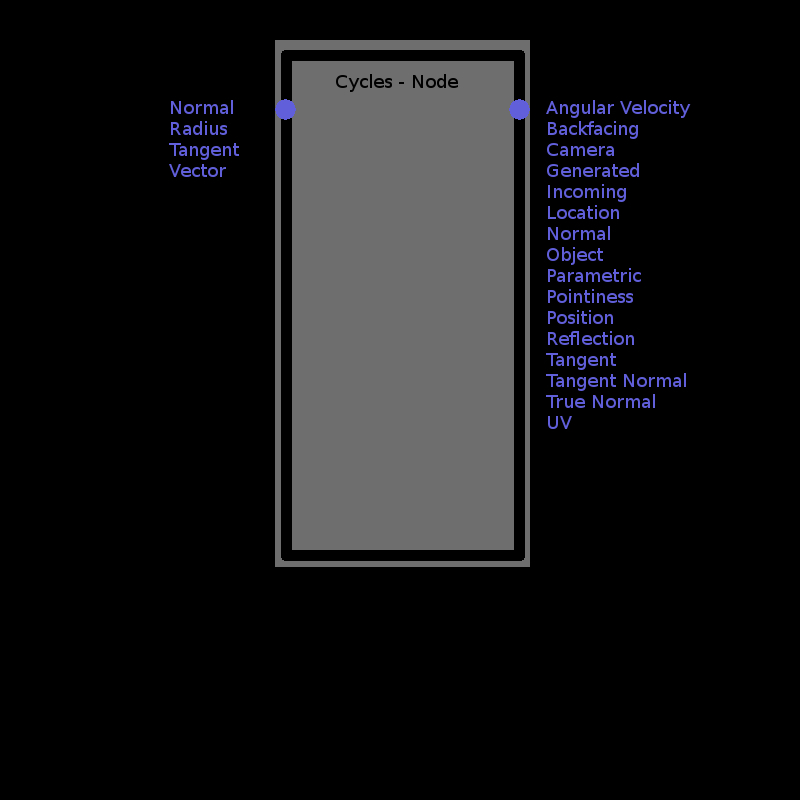 I'll take a look though my initial thought is that all data between nodes in Cycles is most likely an array of floats. I'm going to go out on a limb and guess that the nodes are basically wrappers around GLSL shader scripts (https://en.wikipedia.org/wiki/OpenGL_Shading_Language) which typically operate on floats within the C-like scrips. So while I don't know for certain, having not yet looked at the source, I would guess that an understanding of GLSL will translate pretty easily to understanding of cycles. Thanks Catherine for the GLSL references (I did not get to this point yet). 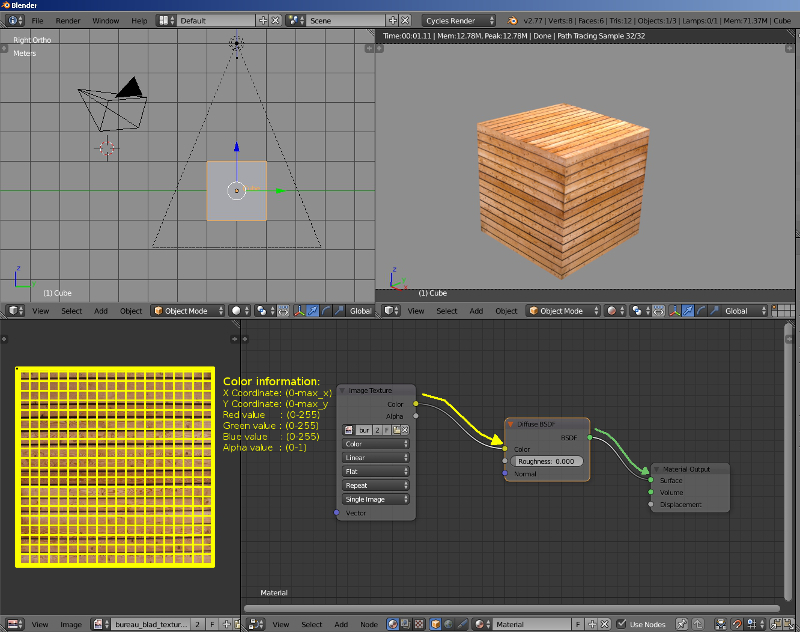 Q: What are your personal interests, regarding Blender geometry? Sure :-) GLSL is really neat. It's kind of what makes all this cool impressive graphics stuff possible IMHO. Like I said I don't know for sure that Cycles is directly using it or is directly based on it. Its quite possible that there is an abstraction layer in between allowing both GLSL and other implementations under the hood, though as I mention I'd be quite surprised if an understanding of GLSL doesn't pretty directly translate into understanding the internals of the node trees. catherineirkalla : "Like I said I don't know for sure that Cycles is directly using it or is directly based on it. Its quite possible that there is an abstraction layer in between allowing both GLSL and other implementations under the hood, "
I do not know either (yet) but will get to the bottom of this later in 2019. I'm planning to do a little C, C++ OpenGL coding myself, just to be able fully understand the stuff under the Blender hood.